Ten years after the Trojan War, faithful wife Penelope waits for her long-absent husband Odysseus to return to Ithaca. Day-to-day, she must use her wits to delay 108 suitors who are eating her and her young son Telemachus out of house and home. Meanwhile, Odysseus battles men, monsters, and immortals to make his way back home. Classical culture isn’t really known for celebrating the virtues of women. (The word virtue, after all comes from the Latin vir, or man.) 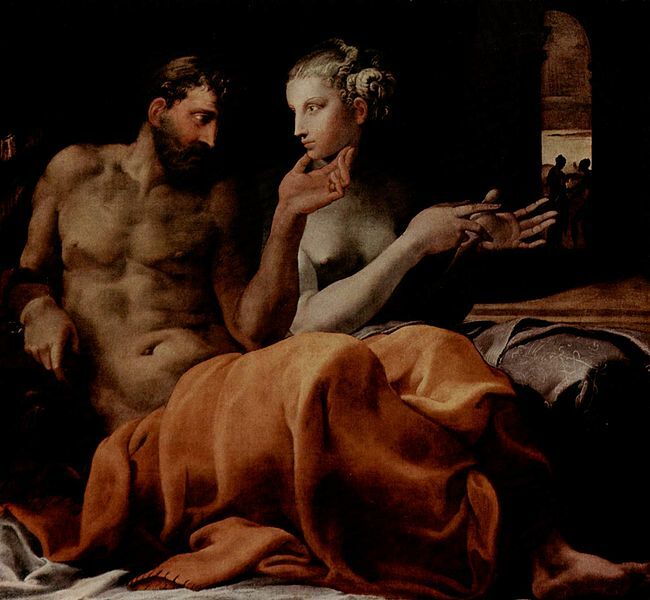 Nevertheless, The Odyssey gives us Penelope, one of the greatest wives in Western literature with a few lessons to offer even a twenty-first century wife. A great wife is always loyal to her husband. Early in The Odyssey, Homer tells the audience about the fate of Agamemnon, the great king who led the Greeks to war. Agamemnon returned home in triumph, only to be killed by his unfaithful wife Clytemnestra and her lover. Agamemnon even warns Odysseus from the underworld not to take his wife’s fidelity for granted. But Odysseus never seems to question Penelope’s fidelity. He continues to struggle to make it home, taking for granted that Penelope will be there, waiting for him. Fidelity isn’t just about chastity in a marriage—although that’s certainly important, too. Fidelity is also about two people being each others’ strongest supporters. Your husband should know that you’re always on his side. One of the best ways to build your husband’s trust is to make sure you never undermine him in public. Putting him down or arguing with him in front of other people suggests to your husband that you don’t respect him. You don’t have to agree with him all the time, but show him your loyalty by keeping disagreements in the privacy of your own home. A great wife inspires her husband. Odysseus hasn’t been idle during his ten-year journey. He is waylaid first by the goddess Circe who turns all his men into pigs. 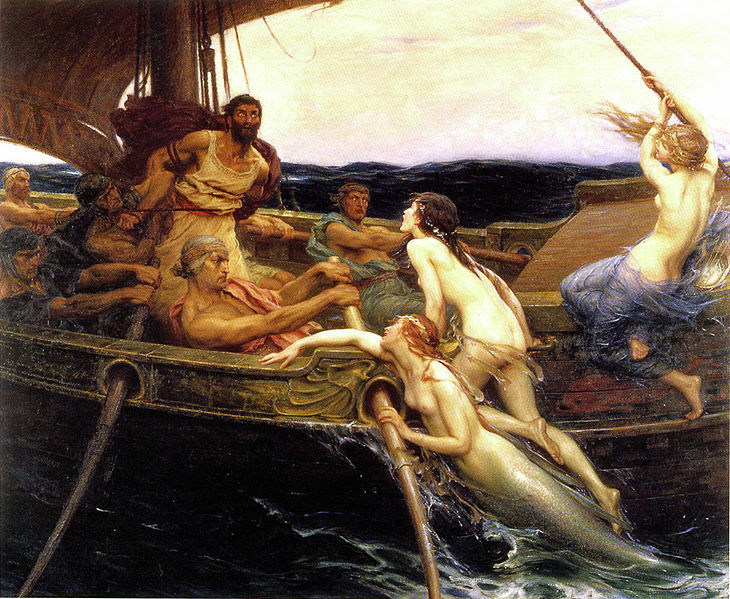 Then the goddess Calypso traps him on her island for seven years. Throw in the tempting, young Princess Nausicaa, the seductive Sirens, and the whirlpool-causing monster Charybdis, and Odysseus has many, many women standing between him and Penelope. Despite all these temptations, Odysseus never stops striving to get home to his long-suffering wife. Homer gives Odysseus chance after chance to settle for another home and another woman. Calypso even offers to make him immortal, if only he will stay with her. But Penelope is such an excellent wife she inspires him to return home, even after a twenty-year absence. A wife, like Penelope, should try to inspire her husband to be the best he can be. Maybe your partner is unhappy in his job; encourage him to pursue a dream. Maybe he has a self-destructive habit he needs to overcome; give him gentle support, without nagging him. Most men want to be husbands we can be proud of. Tell him what makes you proud. A great wife does the right thing, even when no one else does. Xenia, or hospitality, was one of the greatest of Ancient Greek virtues—overseen by no lesser god than Zeus himself. 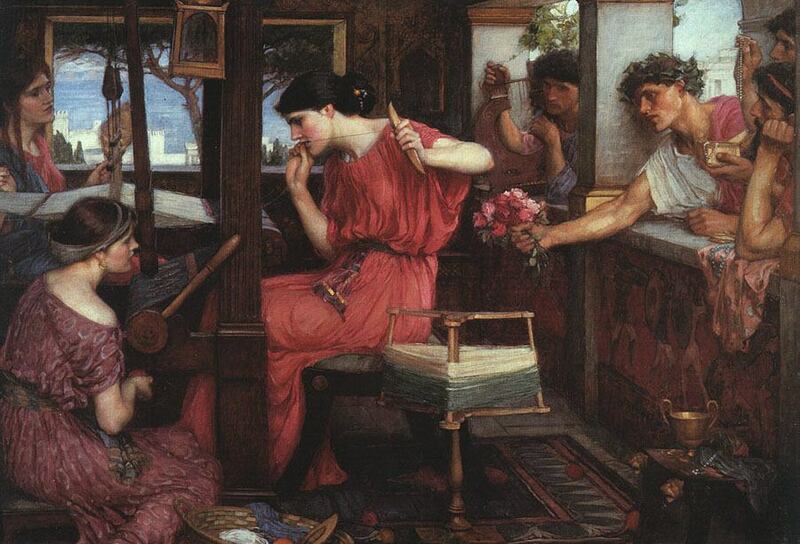 Penelope shows her xenia as she continues to host the suitors. She lets them stay in her home, eat her food, and drink her wine because she wants to do the right thing, even if the suitors do not. It is Penelope’s commitment to xenia that eventually saves her. Odysseus returns home disguised as a beggar. Because she normally hosts anyone who asks for a place to stay, none of the suitors suspect that when she goes to talk to the beggar, Penelope is secretly plotting with Odysseus to kill them. It’s hard to do the right thing. It’s even harder to do the right thing when no one is looking. As a stay-at-home mom, I spend a lot of time without anyone looking. That’s why I have to remind myself to clean the bathroom, even though my husband would never notice if I didn’t, and that chocolate really isn’t a suitable afternoon snack, even when I’m the only one who will know about my splurge. Being a great wife, especially a stay-at-home mom, means learning to have great self-control about the way you spend your time and the way you treat your body. Why not pick a bad habit of your own you’d like to kick? Great couples build their lives around each other. Penelope is such a great catch for Odysseus because she excels in the same ways he does. He designed the Trojan Horse that brought an end to the Trojan War; she came up with a clever trick, weaving by day and unweaving by night, to delay the suitors for three full years. He shows caution when he speaks with those who could harm him; she tests even Odysseus before she accepts his identity. Consider this metaphor: Odysseus built their marriage bed out of an immovable tree. That means their entire home is built around each other and their marriage. One of the nicest things about being married is learning to use your shared gifts as a team. I’m interested in education, so Adam works with me on great projects like What Should She Read. He’s interested in computers, so I copy-write for his design company Electric Eloquence. Brainstorm ways you and your partner can work together to do something great. Convinced The Odyssey a useful manual for today’s wife? Let us know what you think in the comments. Posted in Smart and tagged books, lessons in wifery, marriage. Bookmark the permalink.